With the extensive knowledge and experience in this respective domain we are engaged in offering high quality Bottle Type Cooling Towers. These towers help in carrying out the hot air. We only use high grade components and latest technology while manufacturing these towers. The offered range is widely appreciated all over the nation for its salient attributes. With our quality range, we are able to maintain a strong foothold in this industry. 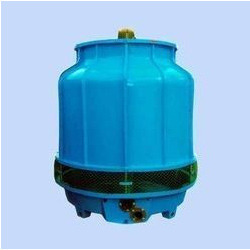 Looking for Bottle Type Cooling Towers ?